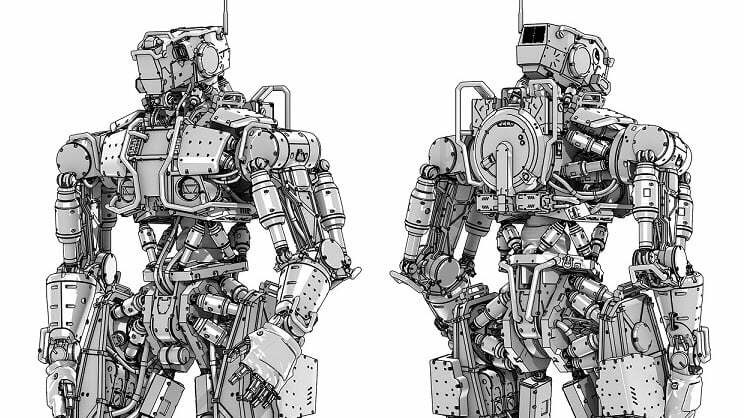 Solid Angle has announced an update to Arnold, the renderer recently acquired by Autodesk that has become the built-in engine for 3DS Max and Maya. Arnold 5.1 has been optimised for speed and quality with a new adaptive sampling mode and two denoising solutions: NVIDIA’s OptiX technology and a standalone Arnold denoiser that offers temporal stability for animations. A new toon shader has been added, that can be used with the contour filter to create many non-photorealistic render styles. For large complex scenes and advanced pipelines, this release adds a native Alembic procedural and a new Profiling API and Structured Statistics provides debugging tools to help identify performance bottlenecks. Finally, the release paves the way for supporting open pipelines with a new set of operators that make it possible to override any part of a scene and modify it at render time and support for MaterialX, the open standard for transferring material and look-dev information between applications. Find out more about this release on Solid Angle’s website. Operators are awesome, opening so new workflows in max. And its only the beginning! Also, there is adaptive, and Progressive rendering mode! Hopefully MaterialX will also come to Max. It isn`t supported I believe, right? How does it work with the point releases for those who just have Max, do they wait until it’s rolled into the next extension? You just download the Arnold 5.1 for your max version (2018 or 2019), it will install Arnold 5.1 and Max plugin also updated. You download updates from Arnold website. you only need an autodesk(now)/solidangle account. don’t think it’s been updated yet, still old version on the download page. Yes, is totally a nonsense comparative. At 360p resolution image I cant not see the noise on Arnold or on Cycles, and we can not see the settings. I can get the same image on Arnold on the same quality in less than a minute as well. Here a test with only one source of light, and no direct light at all: https://www.youtube.com/watch?v=na89AqqobRw (go to minute 5), Way harder conditions than the comparative render, on a way slower cpu, and I still get clean renders after 2 minutes (even without denoiser on). Yes, I already said it was a weak comparative, this guy is making comparatives since a while ago, you can see others in Facebook, he works with Arnold in his job, but he prefers Cycles, a matter of opinion. Why do you watch it at 360p? Then, if its a none sense why to post it on a news of arnold 5.1 when is nothing related to it? There is no other option to watch it higher. I have 720p max resolution (maybe is my connection), 4 images on screen, is roughly 360p per image,… so you can no tell if its a noise image or not. Eloi, did you censore the comments present in your youtube video related to Cycles? I´m not sure but there was a conversation going on and it was interesting, and now I can´t see it. I didnt delete anything. I have as well some mails notifications of new comments on a video, and when I go there I can not see it, so I dont know what is going on. Oh I see, there is one guy posting 10 links to blender stuff everywhere, and youtube tag all his coments and some answers as spam. Now I enable them manually. Hey Eloi, the comments are not yet shown in the video, check if they are still marked as spam, sometimes youtube won´t untag some comments at first try. In any case, if you can share the scene we can do some “gaming” with it and do some fun comparatives, I agree with you that yor example scene is more appropriate for testing. I still can´t see the comments in the video, the links were interesting. On the other hand, I´ll insist in offering you the option to test your scene properly configured to do the comparison, so you can configure Arnold in your system and I will give you a completely configured scene in Cycles, I´ll tell you the build to use to render it and you can render both tests in your computer so the results are consistent.